Yes, indeed, there used to be no facebook group specifically for Amiga BlitzBasic/AmiBlitz coders. This situation has just changed. BlitzBasic, or AmiBlitz, is a BASIC dialect, originally developed specifically for the Amiga, keeping the Amiga hardware's special features in mind, allowing reasonably unexperienced coders to get great results, and quickly. Many games have been written in BlitzBasic, including the outstanding Lemmings-clone Blobz. Surprisingly there wasn't a facebook group dedicated to Amiga BlitzBasic - until now. 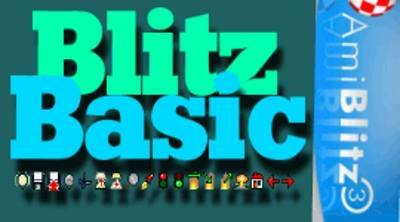 Amiga BlitzBasic coders now have a group on facebook to share, exchange, and chat about their BlitzBasic experiences. The group's name is "Amiga BlitzBasic & AmiBlitz", it's a closed group, and as such of course you need to have a facebook account, and request to join the group. C u there! Happy BlitzBasic coding!